So what are the Superbowl plans for this weekend? Party at your house or at the neighbors? If you came here today looking for a recipe for that party, then you won't be disappointed! 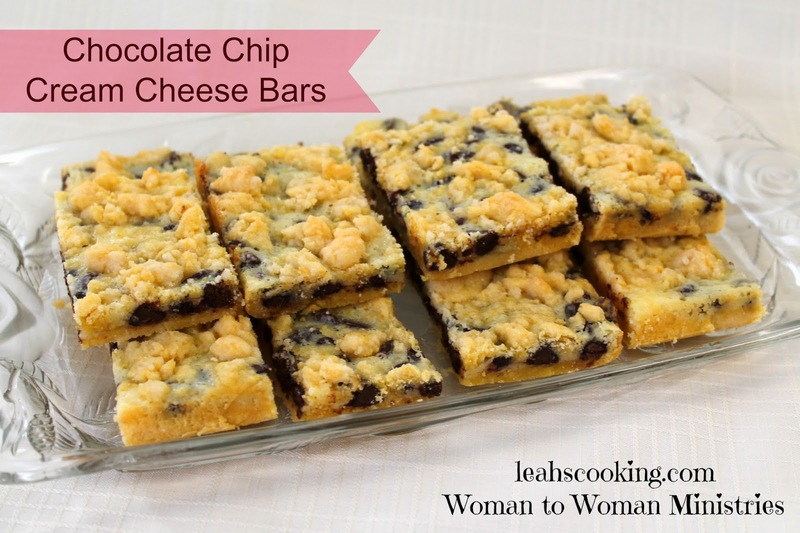 These sweet, Chocolate Chip Cream Cheese Bars won't last long! 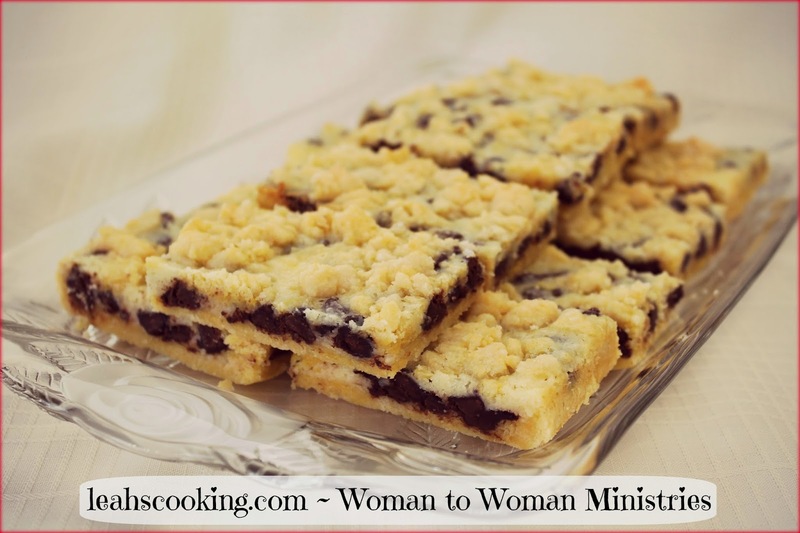 Combine cake mix, egg, and oil together until crumbly. Reserve 1 cup for the topping.Put remaining crumbs in bottom of 9x13 inch pan. Beat together cream cheese, egg and sugar until smooth. Add chocolate chips and spread over cake mixture. Sprinkle with reserved crumbs. Bake at 325* for 30 minutes. Do not overbake.